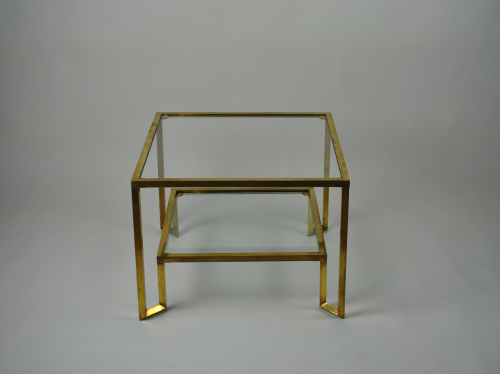 Unusual side table in lacquered brass with 2 tiers and inset glass. Top tier: 60 cm by 60 cm. Lower tier: 50 cm by 50 cm.